What would you feel if you were new in a country where you could not understand their language at all? What would you feel if all people you see were strangers to you? What would you feel if you traveled for 1.5 hours from your hotel with a driver you did not know and you were to pass by secluded areas? Actually, I did not care about the first question. I could always use “sign” language. I also did not care if all people were strangers to me. I went there to explore places and learn their culture and history. What caused me fear was traveling for more than 1 hour (with a person I did not even know) in a place where I could only see soil and grasses with no houses, no people and even no cars or other kind of transport passing by! That frightened me! What if I will be kidnapped? What if I will be harmed? To make those unwanted thoughts vanished, I initiated conversation with the driver. I talked to him and get to know him until I felt at ease. He was Manny Pacquiao’s fan by the way! I paid for the entrance fee and took the boat to cross the Mekong River/Nam Ou River and reached Pak Ou Cave. The nature, its beautiful scenery calmed me. When we reached Pak Ou Cave, I saw a variety of Buddha statues in the lower cave. The driver served as my tour guide. He told me that many local people would visit the cave during Lao New Year. We then went to the upper cave. He said that the upper cave served as the house of their King when America was bombing Laos. After visiting Pak Ou Cave, we took a boat again and rode the van. I was already feeling relaxed. We headed to my next destination, which was the majestic Kuang Si Waterfall. After feeling the cool splash of water from the waterfall, I came back to the van where the driver was waiting for me. I had not eaten my lunch yet. I still had few kips left in my wallet. I asked him to buy food for us. He said, he had already eaten. I told him he could eat it for dinner. He bought food. He drove me back to the hotel. Then, we parted ways. Do you have plans of traveling solo yet fear has been stopping you? I also felt that! But… “Don’t let your fear of what COULD happen make NOTHING happen”! It will make you a better person than you are right now. After my Laos trip, I could say that I am dauntless! 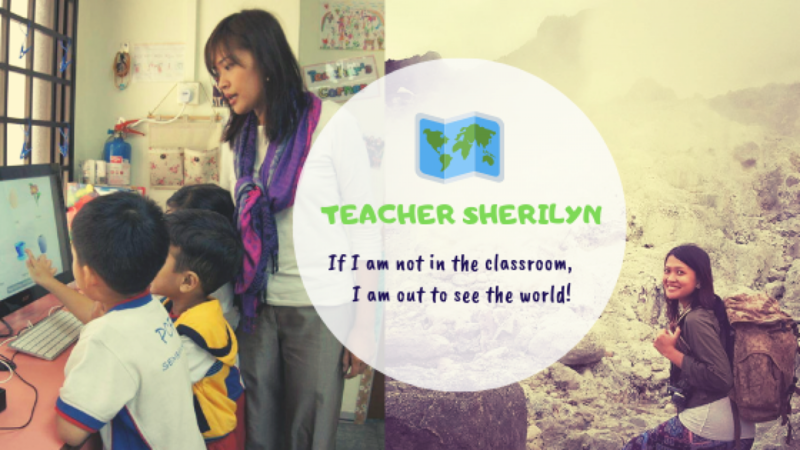 For more of my travel stories, read Holiday Mode: Teacher is On Leave category.